Not even a Dragon would oppose an Oomukade. Not far from Hamamatsu, a town located east of Kyoto in the province of The Land of Demons at the east road of Susuki, ruled by princess Shion. There’s a town called Tschitta. The length of this bridge seems even more remarkable as it is cut into two parts by an isle in the river, which cuts the coutry in half with an adjacent river separating them from the main countries. Near this bridge, which is called Tschittanohashi (Bridge of Tschitta), because of the close proximity to the village, once lived a very cryptic clan who's pedigree is shrouded in mystery. A people of spectoral complexion, handing down knowledge on harmful spirits and an occultic language knwon as Enochian; as well as the wrath of the centipedes, or, as the their name would avant-courier, Oomukade. Their affinity for centipedes gave the, unstoppable power. This is also why they call the hill they lived on “Mukade-hill." They could call upon larger centipede-like beast, which were said to have even made the dragons cower. Their otherworldly, demonic affinty made the army-road insecure and no one dared to oppose them. One night, a beautiful woman visited a man from the Land of Demons named Hidesato. She introduced herself as the daughter of a king of Lake Biwa which lived opposite the isle. The king had sent her to Hidesato to ask for his help. Her family was being tormented by the Oomukade clan who lived on Mount Mikami or Mukade-hill. None were allowed to enter or exit through the Tschitta Bridge. Leaving the kingdom straving and without direct help to the army road of princess Shion. She knew that Hidesato must be a brave warrior, because he had so fearlessly trampled the body of the serpent. Hidesato agreed to help the king. He took up his sword and his bow and headed to the mountains. Upon reaching Mount Mikami, Hidesato saw an enormous centipede coiled around its top. Its was so long that its body wrapped around the mountain seven and a half times. He fired his arrows at it until only one arrow remained, but he was unable to pierce the beast’s armor. Hidesato pulled a sacred arrow from his quill, the Mii-dera and said a prayer to Hachiman, the god of warriors. This time his arrow struck true, and he brought down the Oomukade behemoth. The Oomukade, try as they might, were no match for the brave warrior and the army road that could now cross the bridge. The clan was seemingly wiped out overnight, with all but a few children, non-combatants, and elders remaining. Each, at some pointing, abandoning Mukade-hill, and venturing off to different corners of the world. Perhaps the most powerful weapon of the bloodline, Clan members passively cultivate venom throughout their bodies that they can use either offensively or defensively through jutsu. Manipulating poison between solid, liquid, or gas via chakra, is known as Dokuton 毒遁 or Poison Release (Death Style Alternatively). This ability cannot be sealed, dispelled, or mitigated with any notable affect. Upon creation, clan members may add the free poison template below to their locker. Additional poisons act as if they are bodily functions, but must be purchased. Poison Description: The venom protein is involved in skin damage, oedema, blister formation, myonecrosis and inflammation, and this is consistent with several of the recurrent symptoms associated with centipede stings. Poison Effect(s): The venoms streamlines to an anaerobic bacteria that has detrimental affects to the skin. A slippery slope of skin irritations leads to serious infection if left unchecked. Clansmen can shed their skin, similar to a molting centipede. Allowing them to mend deep lacerations, severe burns, and bodily traumas. 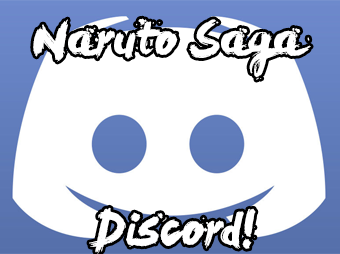 Clan members can app for passive healing jutsu at a rank higher at a reduction of their total chakra pool. Whilst the technique will be potentially passive, clan members will need at least one post of prep time. And this is universal, regardless of the rank of the technique. App'd passive techniques will follow appropriate duration and cooldowns for their rank. Passive regeneration techniques are only able to heal damage and wounds identical to their rank. IE: A C-rank passive cannot mend wounds inflicted by a B-rank technique. It is also important to note that their nervous systems detect and transmit pain signals (ie, they've got nociceptors [segmented arthropods]). But they are incapable of experiencing pain consciously, or suffering from it. A centipede also has numerous sensory organs. As such, many species of centipede rely heavily on their senses of touch and smell for safe navigation and hunting. Antennae are paired sensory appendages reaching from the head. They sense a variety of things, but most primarily and importantly is smell. As such, clan members may app sensory jutsu of a rank higher, that expand on their heightened sense of smell and antennae. Similar to the Aburame Clan, Oomukade clan members harbor the arthropods in their body. Although, no where near the scale or numbers that their counterparts do. The centipedes grant no abilties or perks to the clan member accept their ability to inflict poisonous bites. And the poison is rank determined. However, their shapes and sizes, and speed which they travel, can be manipulated through jutsu. Description: Calling upon a centipede latent inside of themselves, the clan member flows their chakra through the centipede. Causing it to project from their hand/ mouth at a speed of 20m/s, until it reaches it's size of 40m in length. The centipede is 6m in girth, and will inflict 1½ inch cuts upon biting it's target. The centipede will also inject the target with venom via forcipules upon contact. IE:*** So relatively, the range of the jutsu serves as the change in centipedes' length. The speed determines how fast not only the centipede discharges at it's new length, but how fast it may move independently (Should this be stated in the technique.) The radius of the jutsu serves primarily as the girth (Or width) of the centipede. And it's initial damage output is obviously determined by it's rank. However, all centipedes carry their clansmen's venom. The amount of centipedes a clan member stores in their body is based on a ranking system. 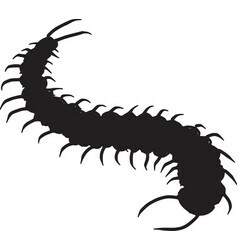 Should centipedes be killed during a thread, a clan member may choose to remain completely immobile and spawn more throughout their body. The amount of optional post required to spawn more centipede, is equal to the amount a clan members needs. Suiton interacts against all Dokuton as +1 rank higher. IE: D-Rank acts as C-Rank against a clan member's Poison based jutsu. Due to their physiology, Clansmen must take Pharmacophobia. Cannot be balanced. Their central nervous system is decrepit, and thus all clansmen must take Numb. Cannot be balanced. Clan members begin with a single element: Dokuton. They cannot learn any other elements until they reach a ninja rank of A.
Centipede stats are considered non-existent, and only have defensive or offensive properties when given damage values and ranges through jutsu. Whilst Medical Ninjutsu is completely voluntary specialization to take, if a member does not take spec, they cannot utilize their poison, nor regenerate. Regeneration: Please include a prep time and a cooldown. It's a good ability but needs more details before we really dig down to it. Centipedes: So, one centipede equals on jutsu? Mind going more into detail the mechanics of this ability, just so we don't miss anything? Looks good for now. though that might change. First off I'd like to start off with saying that the clan does too much, nor is it really coherent in what it's trying to do. There are basically two things that this clan is trying to do, make an advanced release (poison release) and centipede stuff. While these two themes can work together, it makes no sense to lock an advanced release with a certain animal and they should be separated. I'll still give feedback on all aspects of the clan and you can choose in which direction you want to go from there. - "This ability cannot be sealed, dispelled or mitigates with any notable affect." Are you trying to imply here that it's impossible to stop a person with this element from producing poison or are you saying that what they create can't be sealed, dispelled or mitigated? - The free poison that is being given needs more clarifications on what it actually does. It needs hard values and not vague descriptions. - Please remove all the random size changes in the code, they don't make sense and are unnecessary. Finally a note on the release. Now that poison is available to everyone this element hardly does anything nor does it really have a niche. If you want to pursue the clan into making it just an advanced release I suggest you think hard about what you want to make unique to this clan with poison release. - There is no such thing as a passive healing jutsu of a rank higher, all passives are E-rank. - "Whilst the technique will be potentially passive, clan members will need at least one post of prep time. And this is universal, regardless of the rank of the technique." Does this mean all techniques that are made by a character from this clan have a one post preparation time or just jutsu's that make use of the clans element or what? It's a little bit vague on what gets affected by this. - “App'd passive techniques will follow appropriate duration and cooldowns for their rank.” This just make it an active jutsu and not a passive. - These need a decent amount of more clarification on how they're used for jutsu. Do you just use a singular centipede for a technique of any rank or is there variation? - How are the centipedes considered killed? When they have clashed with a technique or what? - A better explanation is needed on how centipedes are/can be regenerated. A further note for this, I'd like you to think hard about if adding this really adds something to the clan. You could just make techniques that are made of centipedes instead of trying to go for the secondary resource system. I'm not opposed to either idea, however in it's current form I just feel like it's unnecessary and you're better off without it. - Needs hesitant specialization without balancing. - "They cannot learn any other elements until they reach a ninja rank of A." This does not prevent people from still learning a fourth element. I'd like it to state that they can't learn a fourth element. All in all, I'd like you to think about which path you'd like to pursue here, poison release or centipedes, but not both of them inside the same clan.